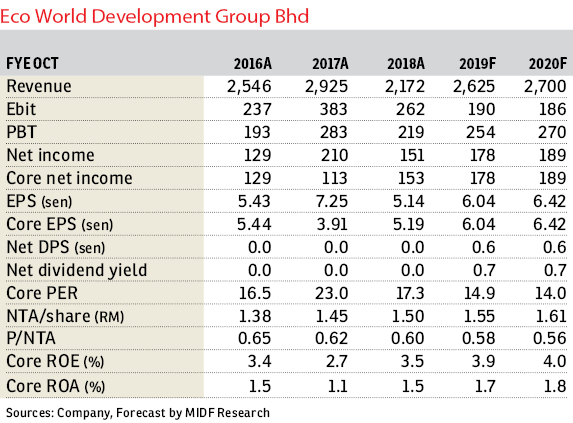 Maintain buy with an unchanged target price (TP) of RM1.25: Eco World Development Group Bhd’s (EcoWorld) first quarter of financial year 2019 (1QFY19) core net income of RM30.3 million is deemed within expectations despite accounting for only 17% and 15% of our and the consensus full-year estimates respectively as we expect stronger earnings for the coming quarters. The 1QFY19 core net income was 163.9% higher year-on-year, mainly due to higher contributions from joint ventures (JVs) and positive ones from associates. Note that the joint ventures — namely Eco Grandeur, Eco Horizon, Eco Ardence, Bukit Bintang City Centre and Eco World International Bhd (EWI) — recorded a positive contribution of RM24 million for 1QFY19 against losses from JVs of RM3 million for 1QFY18. 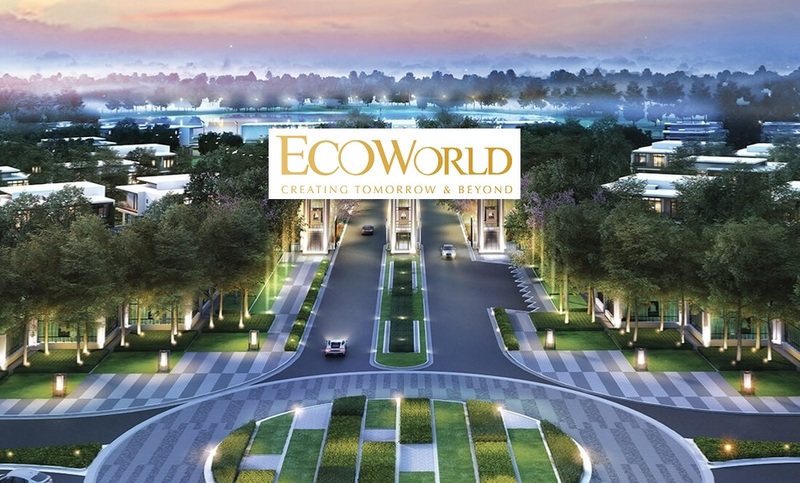 EcoWorld recorded slow new sales of RM230 million for the first four months of FY19 as buyers held back purchases following the announcement of the National Home Ownership Campaign in November 2018. Management remains confident that it will able to meet its two-year new sales target of RM6 billion. Recently, EcoWorld has unveiled its latest marketing campaign — HOPE (Home Ownership Programme with EcoWorld) — to drive new sales. This article first appeared in The Edge Financial Daily, on April 1, 2019.